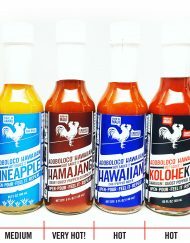 I’m no pro when it comes to photography but I had to figure out a quick and easy way to do all the photography for our Adoboloco products. Amazon.com requires seamless white backgrounds and so do a lot of other websites. It’s taken me a lot of trial an error to figure it out. With the right lighting and simple Photoshop steps, I was able to get the perfect seamless white background for our products. I figured other small business owners out there would need to do the same so here is my down and dirty tutorial on Seamless White Backgrounds. Side note: I take all of my photos using my iPhone SE. Lock the focus and aperture by pressing and holding the spot where you want to focus your camera, then slide the light up or down to adjust your exposure to be brighter or darker. I mount my phone using a Glif holder attached to a small Manfrotto tripod. If you’re familiar with Adobe Photoshop, and your lighting and exposure settings are exactly the same in every image, you could create recorded actions to run all your images through a batch process. This tutorial won’t be covering the action and batch process. Once you get these steps down, you can record yourself going through them in Photoshop and create an action for it. The video below shows the few easy steps that it takes to perfect your seamless white background. These steps are needed since this isn’t a totally professional and expensive lighting setup that will wash everything out in camera.